Stephen Langford with a Salmon he caught on his first time using a double handed rod from the River Tay at Pitnacree. The fish took a home tied Cascade on a Salar double hook! 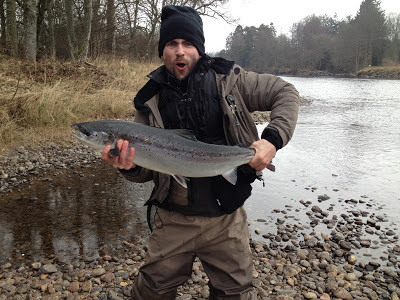 Stephen and his first salmon on the fly!